James Dean was the pride of Fairmount, Indiana. To those who grew up with him, he was just one of the guys. On the silver screen, well, that was different. Up there, he was bigger than life—a guy who was cooler than cool. In 1954, Dean won the chance to screen test for Warner Brothers' East of Eden, the first of his three major film roles. It was the only one of his three films that he would live to see released. In 1955, Dean, driving his Porsche Spyder, collided with another vehicle just east of Paso Robles, California, killing the young star. Dean was only 24 years old and since then, his image has become part of our American culture. His most popular film, Rebel Without a Cause, was released nearly a month after his passing. 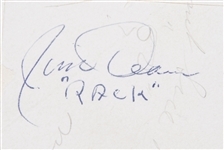 Because Dean died at such a young age, his signature is highly sought after. 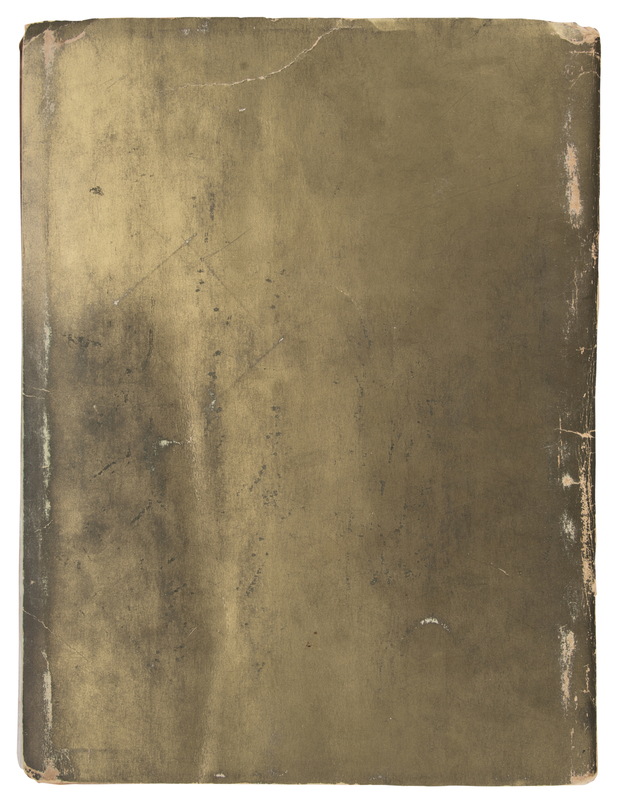 This offered gold-colored 8 x 10 ½-inch Fairmount High School Yearbook from 1948 is an incredible artifact from the symbol of teenage disillusionment of the 1950’s. 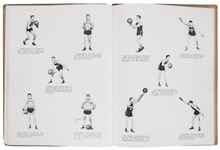 Dean graduated from Fairmount High School in 1949 was very active in high school as he was on the varsity basketball and baseball teams, while also studying drama. 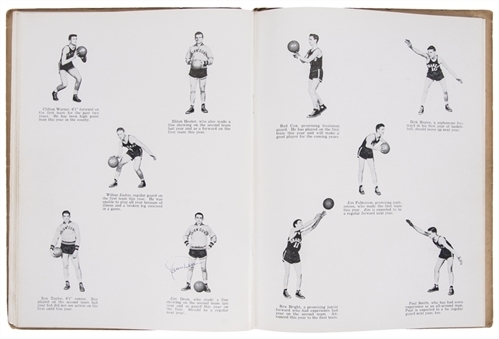 Making this particular multi-page yearbook all the more special, is Dean signing his name on two different pages in blue pen. 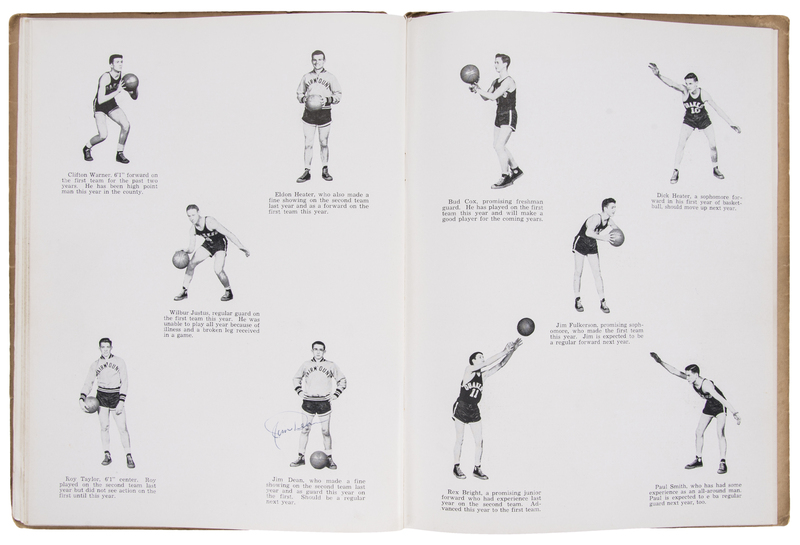 There are a few pages as well that have pictures of the young Dean, who was a junior in 1948 and referred to as “Jim Dean”. 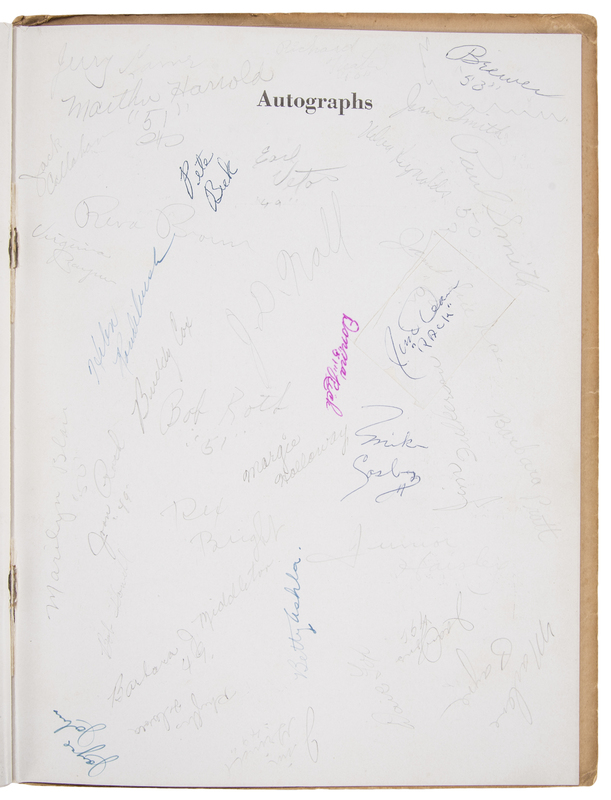 The first of his two signatures appear in the section highlighting the basketball team. 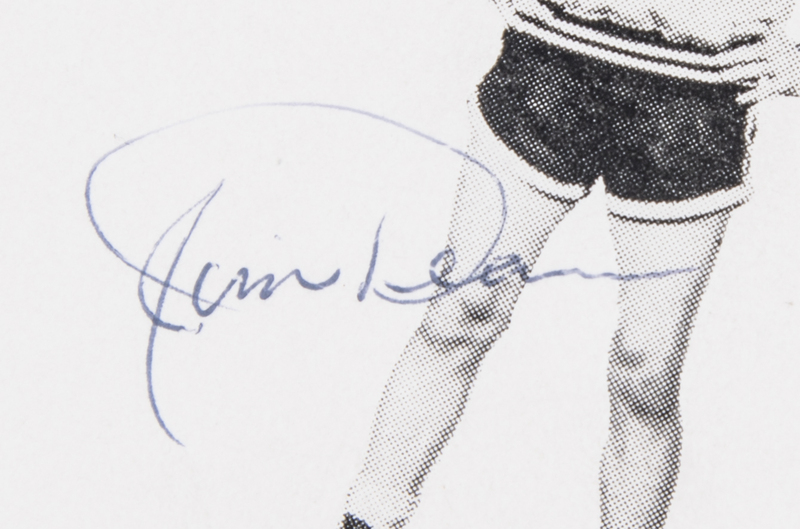 Dean signed his name on his individual picture, a full shot of him in uniform with a warm-up jacket. 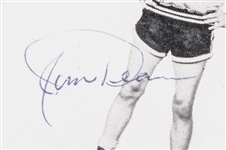 The caption reads “Jim Dean, who made a fine showing on the second team last year and as guard this year on the first. 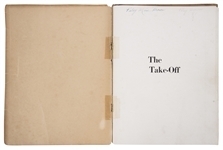 Should be a regular next year.” Dean also signed his name in blue pen on the “Autographs” page at the end of the book. 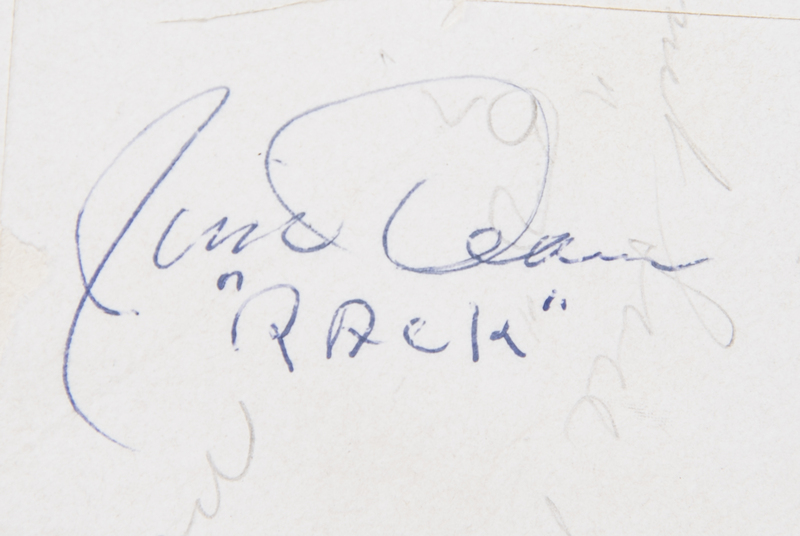 Dean also inscribed “RACK” below his name. 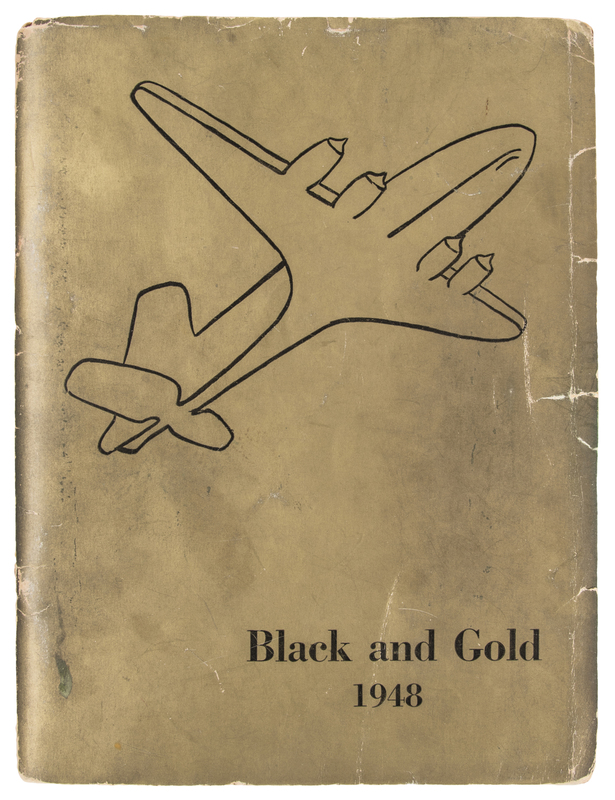 The front of this gold book has an airplane outline on the top of the page and “Black and Goal 1948” on the bottom. The book itself is in fair condition, with all of the pages intact with the exception of a couple in the middle. 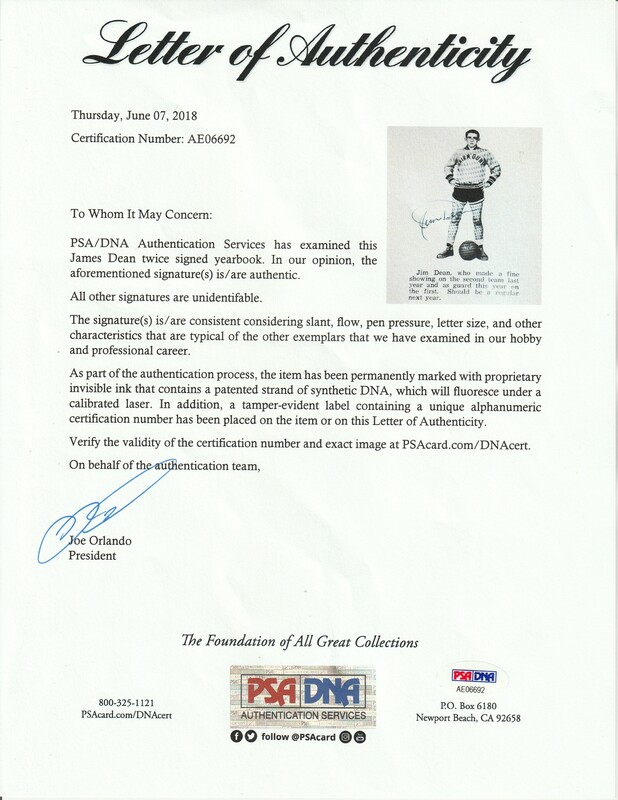 This comes with a LOA from PSA/DNA (AE06692) for Dean’s two signatures.